What a great way to start the year! 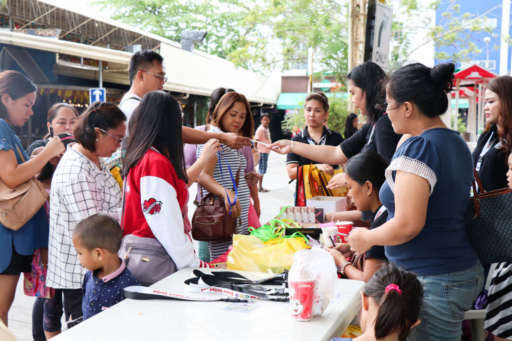 On January 20, 2019, the Mindanao Cake Decorating Society (MCDS) invited us to join them in their Family Fun Fair and General Assembly in Matina Town Square in Davao, City. 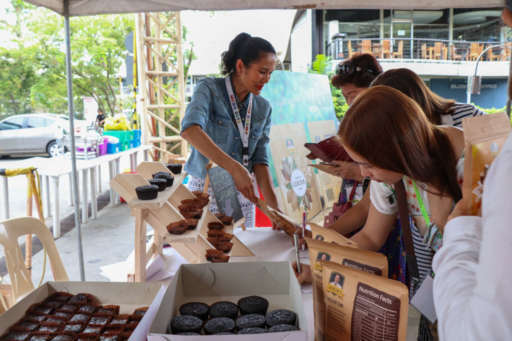 More than 300 home bakers, professional pastry chefs, business owners, and baking enthusiasts from all over Mindanao flocked to the venue to witness and join the different activities MCDS has lined up for everyone. This included sponsored baking demos, a playground and face painting area for kids, a magic show, numerous booths where the guests could purchase baking goods at a great discount, raffles, dinner, and the highlight of the day—the cake decorating contest. 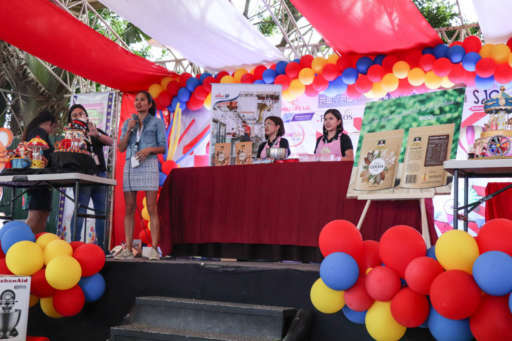 Home bakers and entrepreneurs from all over Mindanao flocked to Matina Town Square in Mindanao to attend the Mindanao Cake Decorating Society’s Family Fun Fair on January 20, 2019. 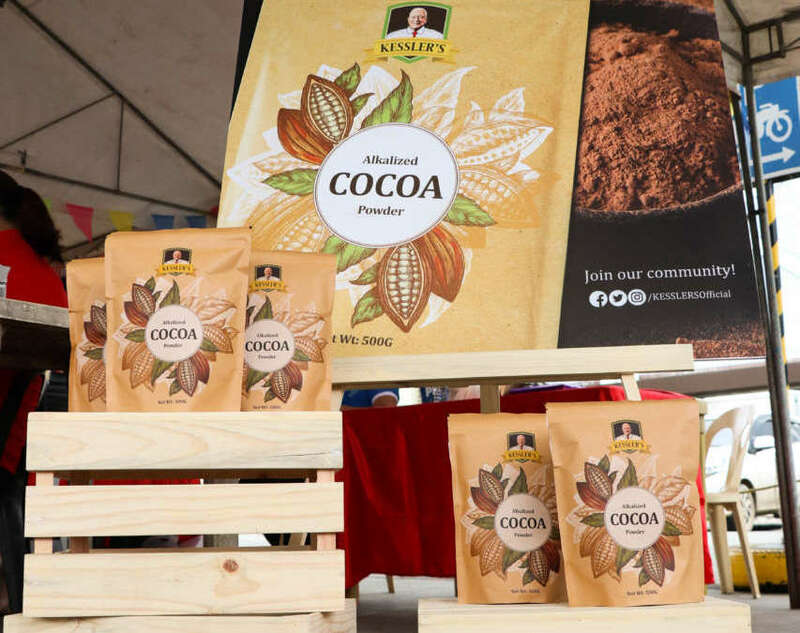 It was also the perfect time to introduce KESSLER’S to the baking community in Mindanao. Chefs Charmaine and Charisse of The Baking Twins had a lively baking demo and told the crowd how impressed they were with the aroma, taste, and color of KESSLER’S Cocoa Powder. So much so that they used the cupcake after the demo for the kids’ design-your-own cupcake contest. Of course, the kids gave their thumbs up for KESSLER’S, too! Gianna Kessler, VP for Marketing and PR of HAMBURG Trading introduces KESSLER’S to the crowd. Behind her are Chefs Charisse and Charmaine of The Baking Twins. Before The Baking Twins started their demo, HAMBURG Trading Corp’s VP for Marketing and PR, Gianna Kessler von Sprengeisen, presented the company to the curious crowd. She told them the story of how KESSLER’S came to be and the brand’s advocacy to help Filipino home bakers and aspiring pastry chefs to improve their product, business, and service through various seminars, baking demos, and assistance from HAMBURG’s R&D Team. We also asked a local baker to make fudgy chocolate brownies and cupcakes which we then gave out to our booth visitors. Inside our booth, we listened to their stories and challenges as home bakers and small business owners. With this, we reiterated KESSLER’S advocacy that we’ll grow together through useful business seminars and by giving our customers only the best products we can offer. We gave free cupcakes and brownies to our booth visitors. Of course, these are all made with KESSLER’S cocoa. Because of the very positive welcome that Davaoeños showed us from our baking demo up until the last minute in MCDS’ fair, we can’t wait to go back soon!